First designed by Ercol founder Lucian Ercolani in the 1950s, this functional mid-century chair encapsulates the elegant style and craft that has made the brand a British furniture institution. 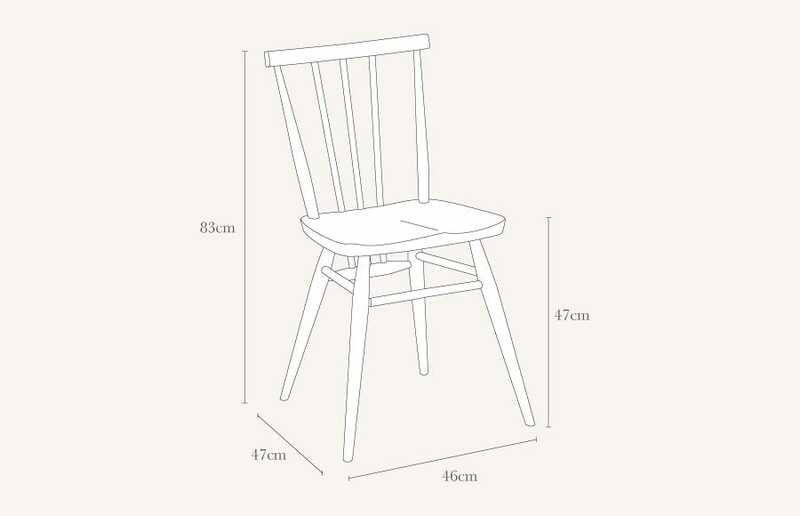 Lovingly made by hand to capture that same passion and quality of the original design, to this day each All Purpose Chair is made using the highest quality hardwoods within Ercol’s British workshops. The seat features subtle indentation along the top with visible hammer-shaft joints joined to turned mid-century style legs. Part of the Originals collection, a mid-century styled collection inspired by classic English furniture. Carved from solid elm and beech in a range of colours and finishes, this simple design feature a turned wood back-rest reminiscent of Windsor furniture.